Available in a range of configurations for small to mid size PA systems, the GX3 will fill the room nicely without the expense or weight of unnecessary features. The focus is on smart proprietary designs that QSC have worked on for their flagship speakers, offering immense power and efficient operation in compact power amps. 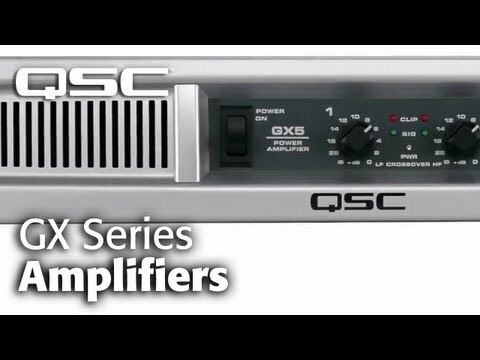 The GX3 uses the latest evolution of the QSC Grounded Collector output system, for optimum cooling of the critical power transistors. A true Class B biasing system combines maximum thermal efficiency with excellent audio performance. The GX3 is ideal for speakers in the 300 watt (Program) range.